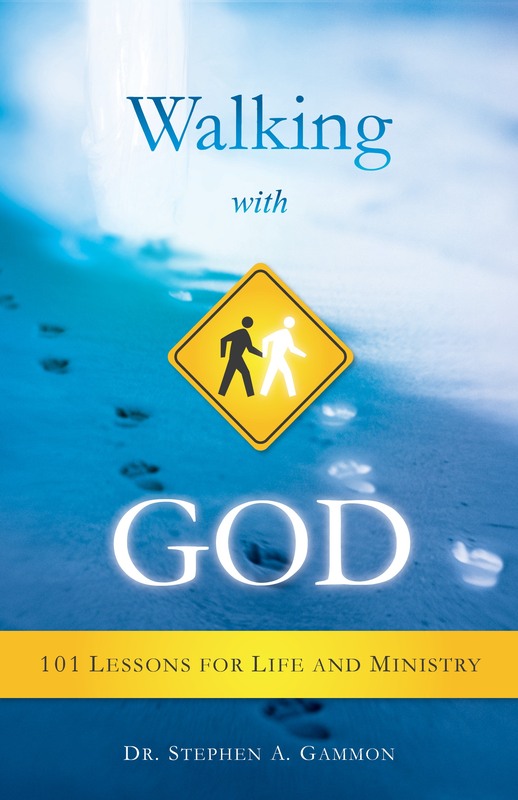 Walking with God; 101 Lessons for Life and Ministry by Dr. Stephen Gammon is a treasure. Over the course of 14 chapters of various stages of his life, he shares treasured personal stories and insights of his own walk with God, starting with his walk with God as a Child through adolescence to young adulthood. He shares the stories and his struggles to hear God’s voice and leading on his life. He lays open his heart as he shares God’s tender mercy at the premature birth, and subsequent passing of both a son and a daughter. He shares the trials of a young husband and a new pastor and onward through his lifetime of service to the Lord. Begin at the beginning to see the chronology of events that define Dr. Gammons’ life. Or as the author suggests – begin by starting at the chapter that identifies with your stage in life. Either way you will not be disappointed. Each of the fourteen chapters contains short stories of hope and blessings – along with three Life Application Questions – that will cause you to long for that type of life. A life lived in trusting service to God. I feel blessed to have been able to read this book. It has clearly opened my eyes to challenge my own complacency. Thank you Dr. Gammon. About the Author: Dr. Stephen Gammon is a third-generation minister and has walked with God since early childhood. A pastor since age 25, he has served more than 30 years wherever and whenever God has led him, including in two local church pastorates, as a denominational leader of ministers and churches (Conservative Congregational Christian Conference), and as an active duty and Navy Reserves chaplain. Steve and his wife, Helen, reside in Colorado Springs, Colorado. They have three adult children, a son-in-law, and a grandson.